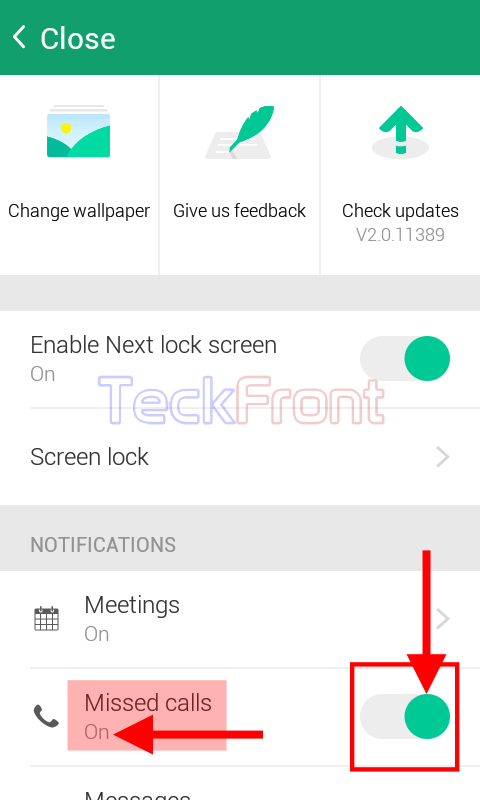 How to Enable Missed Calls on Microsoft Next Lock Screen for Android? A new feature on the Microsoft Next Lock Screen for the Android devices is the display of the missed calls right on the lock screen of Android devices. Now, you don’t need to unlock the device to see the missed call and to connect them. You can just see the missed calls and can call right from the lock screen by swiping them. This is just a one step process to enable and activate to see the missed calls on the lock screen. But, if need be, just see the instructions. 1: Tap the icon of the ‘Microsoft Next Lock Screen’ app on the Home screen of your Android device to open up the ‘Microsoft Next Lock Screen’. 2: At the settings screen of “Microsoft Next Lock Screen’, see the status of ‘Missed calls’ is ‘Off’. See further, the switch, next to the ‘Missed calls’, is of Grey color, indicating that the switch is, currently, ‘Off’. 3: To see the impact of the status of ‘Missed calls – Off’, lock the screen. Call to this Android device from another number. Now, unlock the Android device and see the missed call notification is not displayed there. 4: Now, open the settings screen of the ‘Microsoft Next Lock Screen’, and tap the switch next to the ‘Missed calls’ and drag it to the right. Its color will be changed to Green, indicating that the ‘Missed calls’ are activated and ‘On’. This is also evident from the status of the ‘Missed calls’ which is turned to ‘On’. 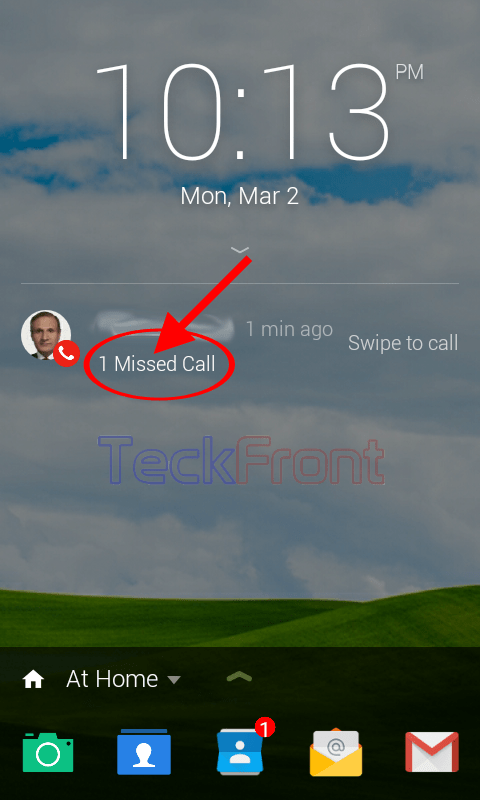 5: To see the changed status of the missed calls, miss-call to the Android device number and now see the missed call is displayed on the ‘Microsoft Next Lock Screen’. That’s all! 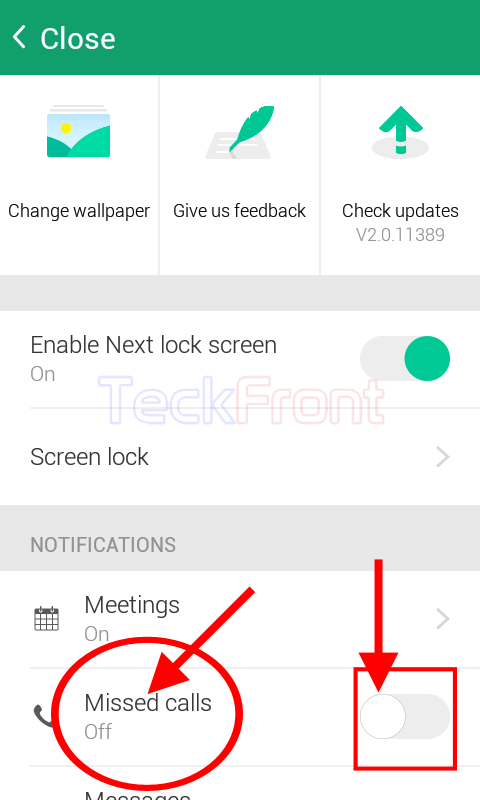 Newer How to Enable Message Notification on Microsoft Next Lock Screen for Android? 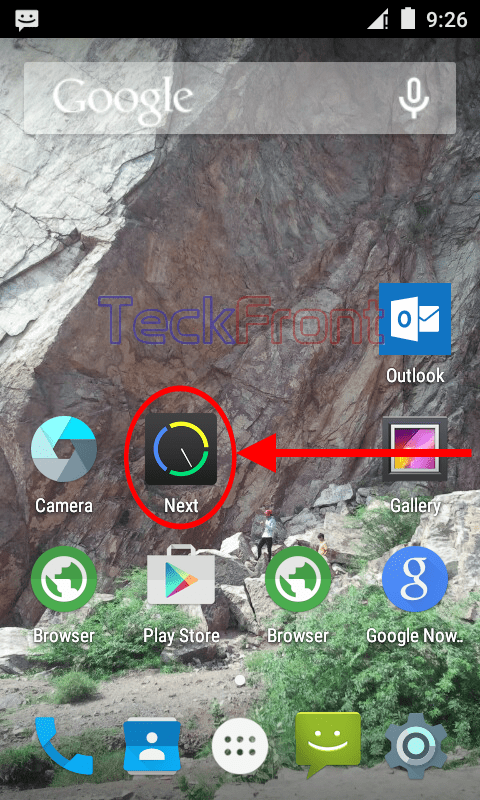 Older How to Set PIN Screen Lock in Microsoft Next Lock Screen for Android? Download Android 5.0.x Lollipop Gapps packages for all devices and ROMs– Direct Download links!